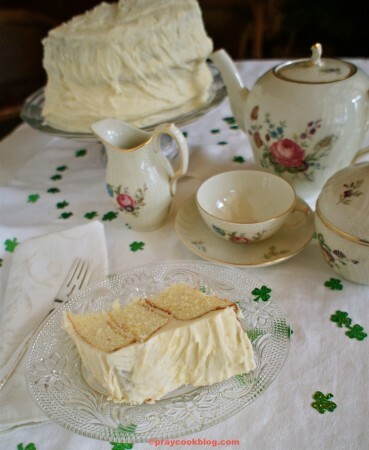 my head spinning thinking of two batches of bread, a chiffon cake, whipped icing …. when MacGyver came strolling into the kitchen to see what the clatter was all about. It was then he said, “no problem, I can fix that.” Really? Fix it? Today? And fix it he did! Matter of fact, I plan to have him “break” the other side bracket and repair it in this same “it will take more than a tornado” to break this off! 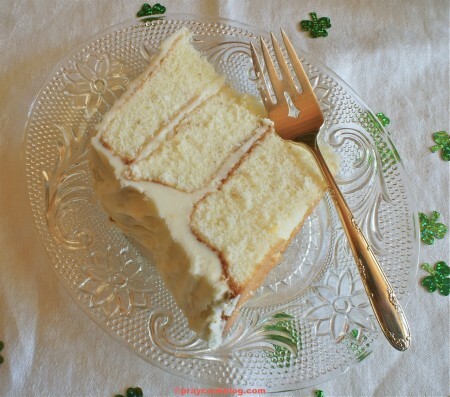 On with my baking: coming straight from the March issue of Southern Living Lemon-Orange Chiffon Cake. I saw the picture of this cake and couldn’t wait to make it. The picture looked so fresh, light, and springy. The perfect dessert for a dinner with my cousin 🙂 a three layer chiffon cake! 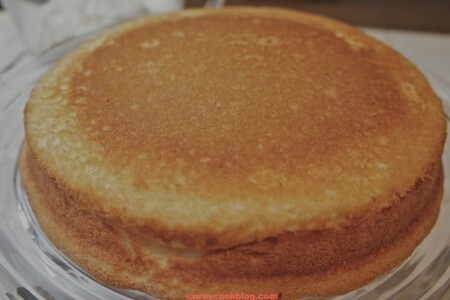 Since I only have two 9″ cake pans and one 8 1/2″ cake pan I decided I would make a two layer cake and put the third layer in the freezer for a later date. I started mixing it up, zesting some fresh orange and lemon, & separating the eggs. This recipe is awesome with the use of fresh orange zest, lemon zest, orange juice and lemon juice! In to the oven it went. And out comes 3 beautiful layers of spongy chiffon cake. At this point I want my cake to be THREE layers high. Call me an over-achiever but I wasn’t about to put the third layer in the freezer! The buttercream frosting goes on light as a dream and is so creamy and tasty. I am quite sure I will make this cake again, maybe cupcakes … ooooooh! 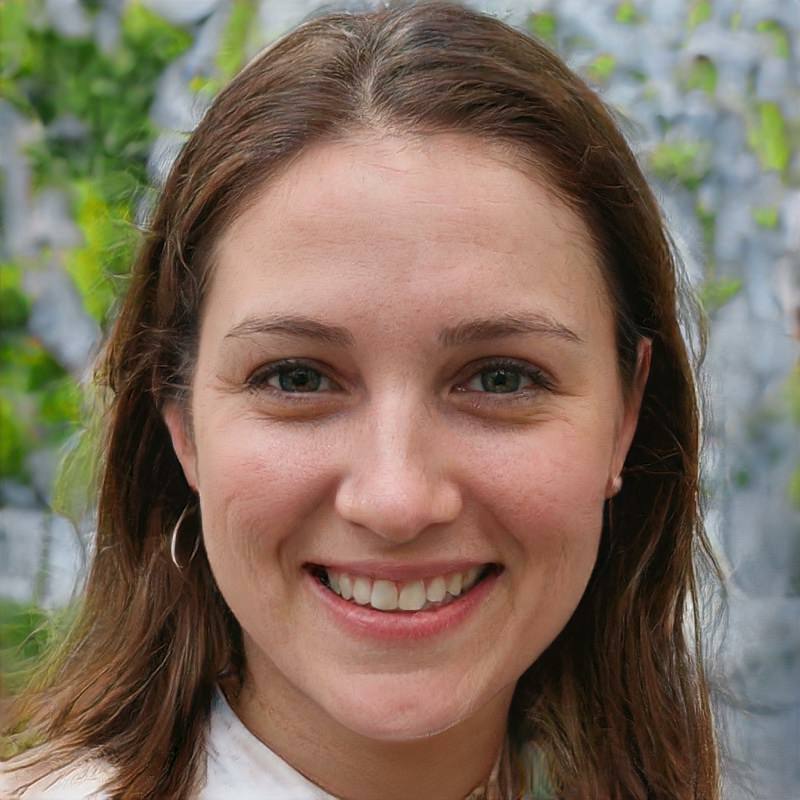 My next blog post will be on Tuesday and it is Tuesdays With Dorie! I am so excited to share my first attempt at Rugelach. I will tell you this — if the fact that we don’t have one crumb left is any indication, it was a hit with friends and family. The delicate flavors of lemon and orange blend into this beautifully light and slightly spongy chiffon cake. 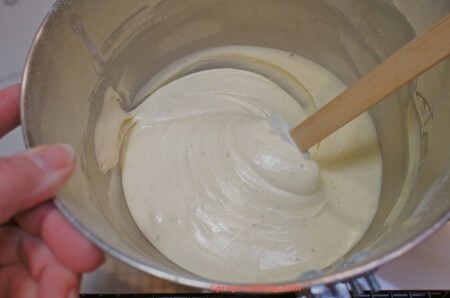 Preheat oven to 350 degrees F. Combine first 4 ingredients in bowl of a heavy-duty electric stand mixer. Make a well in center of flour mixture, add add oil, egg yolks, and orange juice. Beat at medium-high speed 3 to 4 minutes or until smooth and light. Stir in zest. 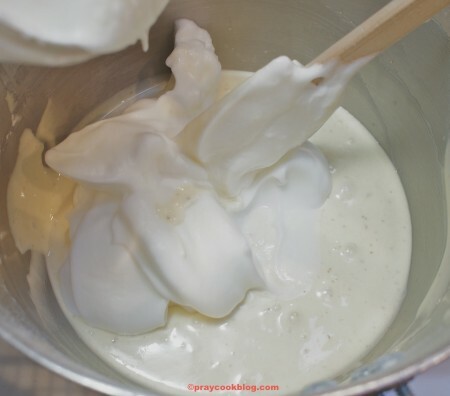 Beat eggs whites and cream tartar at medium-high speed until stiff peaks form. Gently fold into flour mixture. 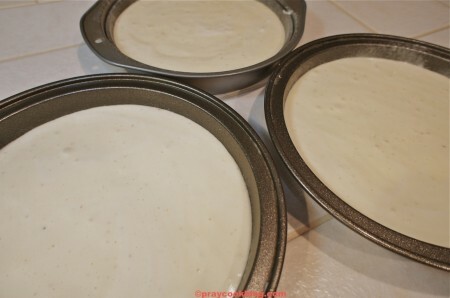 Spoon batter in to 3 greased and floured 9" round cake pans. For frosting: beat softened butter, orange zest, and lemon zest at medium speed with an electric mixer, 1 to 2 minutes or until creamy. Gradually add 32 ounces of powdered sugar alternately with 3 tablespoons fresh lemon juice and 5 tablespoons orange juice. Beat at low speed until blended after each addition. Add up to 1 tablesppon additional orange juice, 1 teaspoon at a time until desired spreading consistency is reached. Makes about 6 cups of frosting. 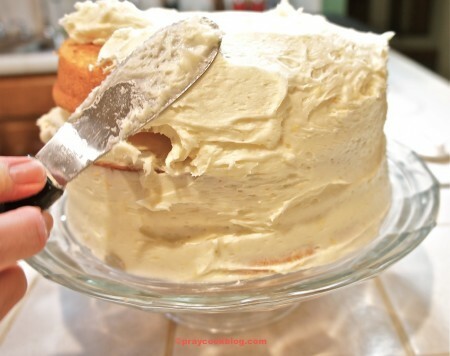 Spread Lemon-Orange Buttercream Frosting between layers and on top and sides of cake. Mmm I love cakes. Thanks a lot for this recipe. Have to try it. It looks very delicious.